﻿ About Us | Hebei Kanglida Metalnet Co.,Ltd. Welcome to Hebei Kanglida Metalnet Co.,Ltd. We are one of the top manufacturers and exporters of wire mesh and wire cloth products in China. Started from the year 1992, we have about 20 years of experiences in weaving wire mesh. 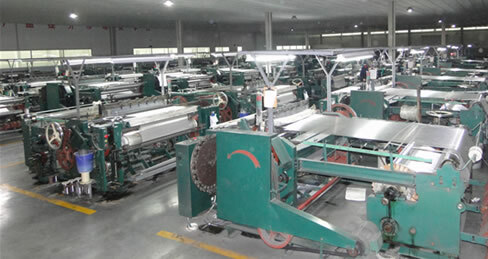 While enjoying leading position in woven wire mesh and woven wire cloth, Hebei Kanglida Metalnet Co.,Ltd. provides stainless steel wire mesh,plain steel wire mesh and other wire mesh products. Our stainless steel wire mesh and other metal wire mesh products have been exported to Europe, the U.S.A., the Middle East, Southeast Asia, Africa and some other parts in the world. While we pay much attention to continued effort in better quality products, our quality management system with manufacture and sales of hardware wire mesh has been approved by ISOQAR to the standard of ISO9001:2008 on Oct.18,2001. We use choice stainless steel wire in production of wire mesh (wire cloth) products. Material for weaving stainless steel wire mesh ( wire cloth ) is divided into Type 304, Type 304 L, Type 316 and Type 316L. Stainless steel wire mesh and wire cloth are extensively used in chemicals, food products, pharmaceuticals and exposure to moisture. Brass wire cloth is excellent for marine and out of door applications because of its immunity to rust and salt solutions. If you are interested in our wire mesh and wire cloth products, please let us know your detail requirements. Please be assured that any message from you will come to our prompt and careful attention. We attach great importance on sincere communications with customers. You are welcome to send by email or fax your inquiry for trial orders.